With the aim of diversifying his contracting business, we talk to one Cumbrian farmer who has invested in a tractor-powered crusher. Geoff Ashcroft reports. 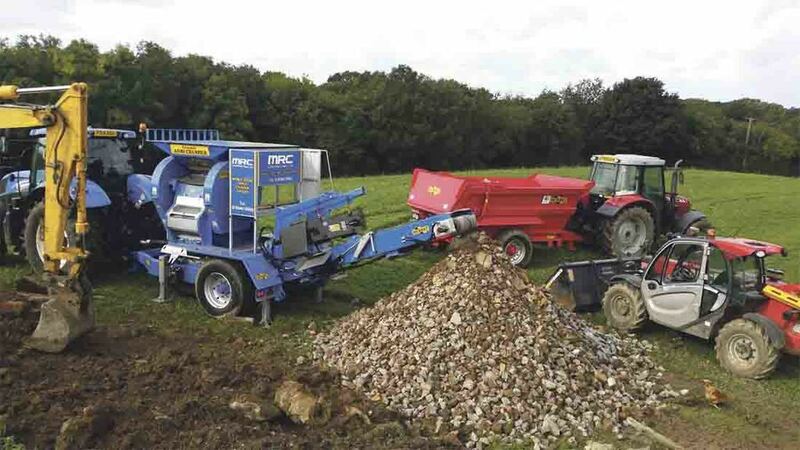 Mark Cottam of MRC Contracting reckons most farms have a pile of concrete or rubble which can be recycled into useful aggregate. 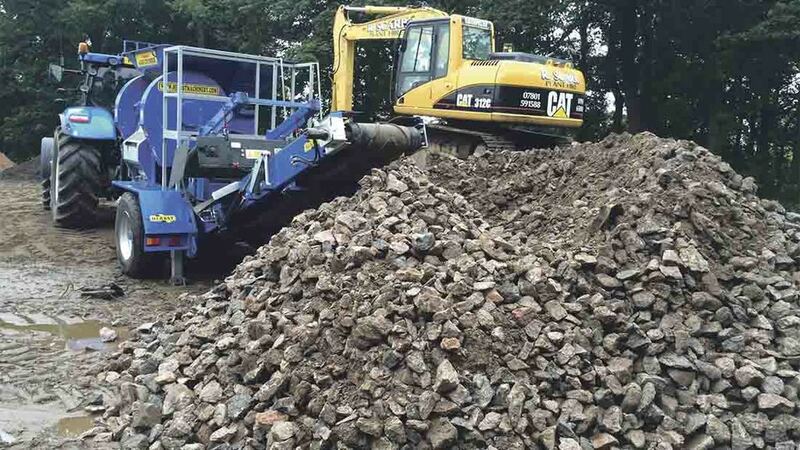 The Agri Crusher is capable of processing about 250-300 tonnes of rubble per day. The Agri Crusher is one of two concrete crushers built by the Omagh-based Country Tyrone firm. The other is the C100 - a steel-tracked machine with an intake feed conveyor. 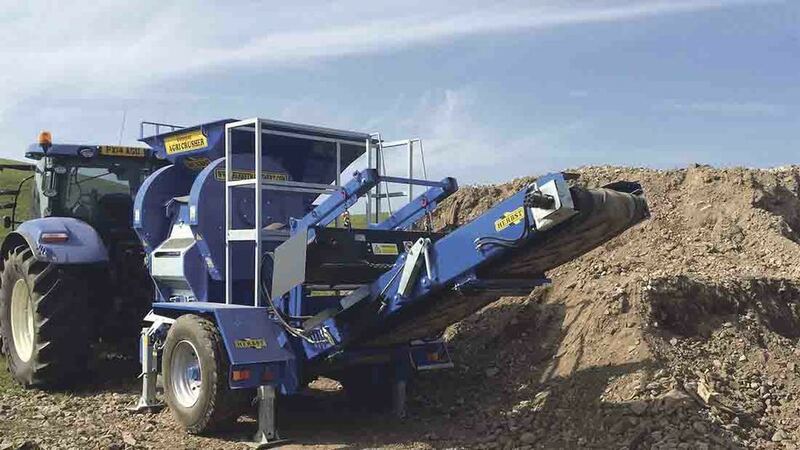 When it comes to crushing performance, the Agri Crusher is equipped with a 700mm by 400mm jaw, and is said to be capable of producing materials ranging in size from 40-100mm. Plenty of horsepower is beneficial when towing, though only 100hp is needed to power the crusher. Bought in May this year, Mr Cottam hires the crushing outfit complete with tractor and operator, based on the volume of material to be processed. He says the biggest challenges he faces is convincing other farmers of how they can turn a rather useless pile of rubble into something much more valuable and useful. 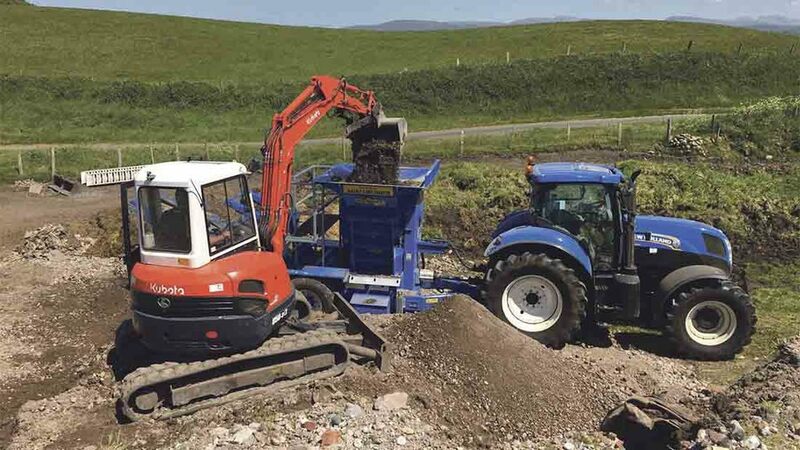 He adds that the practicalities of concrete crushing means few jobs are time-specific, which makes this farm diversification an easy fit with his daily role on the family farm. The tractor-driven Herbst crusher can reduce concrete and rubble to a range of crushed sizes from 40-150mm. “A pile of rubble isn’t going to deteriorate or rot like hay or silage,” he says. “So there is flexibility in weaving the crushing work with jobs on the farm.” When it comes to feeding the crusher, he says that most farms he visits have a digger that can be used to load the intake hopper. When deciding on his final specification, Mr Cottam chose an optional over-band magnet, and this sits over the top of the discharge conveyor. Should there be any pieces of metal or reinforcing bar in the crushed material, the magnet lifts it off the conveyor and drops it to one side for later recycling. “You can’t have bits of steel in crushed concrete if you want to use it for farm tracks,” he says. While the fledgling business venture continues to find increasingly more farm-based customers, Mr Cottam sees additional opportunities among the forestry sector, where road building with crushed stone and concrete could offer improved access to woodlands.